Going by the trend Apple follows with it’s new devices, Apple generally introduces a new design one year, and then stabilizes it the next year (iPhone 3G – iPhone 3GS), so it wasn’t really a surprise when Apple introduced the iPhone 4S with the same design and a few necessary tweaks. The iPhone has gone through a few very necessary updates, which were sort of expected after the launch of iPad 2. The first one is the A5 Chip. Single Cores are stale talk now, even though the iPhone 4 was blazingly fast, Apple had to throw in their A5 Chip, just to keep pace with others. The 1Ghz Dual Core Chip, with a dedicated Graphics Engine has already proved its strength in the iPad 2, and it’ll be real fun to see how it does in the iPhone 4S. Early reports however suggest that the iPhone chip has been under-clocked to 800Mhz, which doesn’t look like doing bad either. The camera in the iPhone 4S has gone for a major upgrade, along with a new 8 Megapixel camera, Apple has also played with optics, the new camera now features a CMOS Sensor and 5 lenses instead of four and 1080p recording is now supported. Also the Aperture has widened. Long Story Short: Your new iPhone is capable of clicking photos much like they’ll be shot by a good digital camera. But it’s a Phone update isn’t it? Just upgrading the camera and the Processor won’t do the trick, it doesn’t impress me! 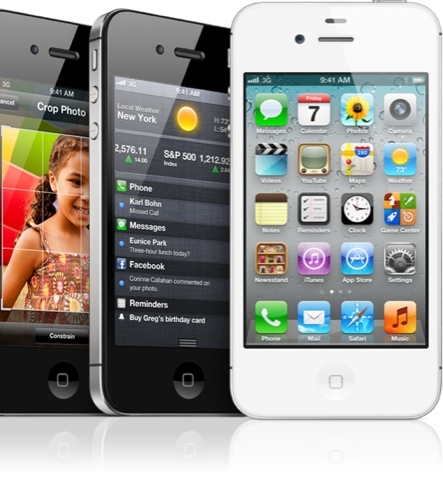 Not to worry, the iPhone 4S comes with a completely new antenna system, which not only corrects its older problems but also makes it a GSM + CDMA Phone, and promises a faster reception and great speeds. Apple also claims it’s the worlds first World Phone. Now that is what I call a Phonely update! There is finally something to upgrade. Their not done yet, there is also a nice little voice assistant built in the phone. They call it Siri. It’s always that one more feature which makes or breaks the product. Siri is the replacement to Apple’s old aging and pathetic voice assistant which is not even capable of playing a song for me. So it really needs to do well to make this meek update roar in the market. Originally Siri was an iOS app (which I did not know about until very recently), based on intelligent voice recognition. It was created by Dan Kittlaus, Adam Cheyer, Tom Gruber And Norman Winarsky. Apple bought Siri in April 2010. When Scott Forstall came on stage to do a live demo of the voice assistant, it was quite a daredevil task, looking back at the history of voice assistant. Things worked out incredibly smooth however. And Siri was the party popper. Siri, (the iPhone assistant) is a completely different tool from what you may have seen in some iOS apps. Here you can talk to the phone casually, while it tries to produce an appropriate solution, just like an efficient secretary. So if you tell the Phone that you are hungry, it will bring up a list of restaurants near you. Tell her that your car is broken down, and it well get give you a list of nearest car repairs. Siri at a mere glance looks magical, nearly intelligent and straight from Science Fiction. However Siri comes with it’s own restrictions. One such example is limited language compatibility. Theoretically English is a very widely used language and many people on Earth can speak it. But on the practical side of it, when you are in trouble or desperately need help, you are bound to speak in native language which Siri in all probability, doesn’t understand. Also, Initial Reports suggest that outside US, Siri cannot even look up places or understand your location. Siri is also efficient at producing Witty remarks, “Siri, can you murder someone for me?” it replies “I found 3 mental health agencies fairly close to you!” . You can find many such remarks at : http://goo.gl/r002M & http://goo.gl/mWWGS . Summing it up: iPhone 4S is the most stable iPhone to date, and it’s bound to stay for a long time (Just like the 3GS), it’s selling point however lies in Siri, which will have to do incredibly well to save it from a sans-Steve failure. But that looks like a far fetched idea, because initially sales have already shattered servers and records. The other day, I was trying to frame my report on the New iPhone 4S. It just wouldn't take off. It was never a problem with Steve's Keynotes, usually his punchlines and comments would form the major portion of my article. So whenever I felt I couldn't start an article, i'd quote his words, and then start with my comments. Many people have been praised for their work, Very few of them have been praised by their competitors, and only a handful have been able to experience the whole world bow down to their creations. 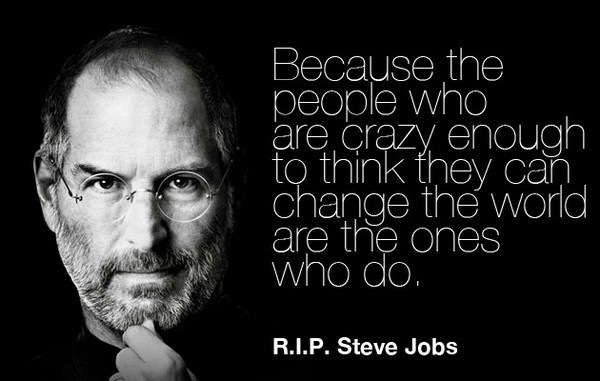 Steve Jobs, is just a notch above those handful of people. He is the inventor of the modern day computing world. Had Jobs not done what he did in his life, the world would still be seeing computers in offices or in huge military strategies. He drove a company from the verge of bankruptcy to the most valuable tech-company in the world. He lived Apple. His ideology was his company's ideology. At Apple Steve Jobs created the products of a millennium, he bought personal computers to home, He tought the world how to point and click, Without him, the computer screens would have been lifeless black boxes with green text, He reinvented the term Music and Without him TouchScreens would just have been restricted to hit Science Fiction Movies. If God created Universe, Jobs created the Computer-verse. People say different thing about Jobs. They say, he is s great marketer, He is a great speaker, He is a visionary, a mentor, an inventor. Above all What I think is, That he is the only one in the millions who dared to. Think differently. He dared to change the world. And he was successful in achieving that seemingly impossible dream. "We're born, we live for a brief instant, and we die." I beg to differ Sir Jobs, "Real Artists never die." May you always be with people who dare to think differently.